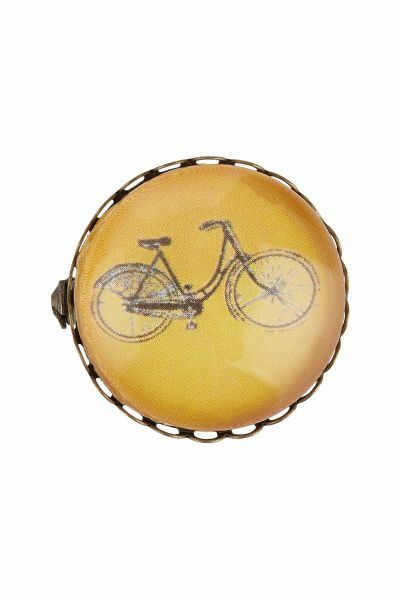 The Bicycle brooch has a simple illustration of a bicycle on a mustrard yellow background. Cased in antique faux gold with sweet scalloped detailing around the edges. Glass has been layed over the illustraion giving a slightly domed look that will catch your friends eye and make them jealous. Due to each brooch being made by hand, each one can have small variations adding to it's charm. The Bicycle Brooch has been made from Zinc and copper alloy, it does not contain nickel. He has been handmade in Spain.